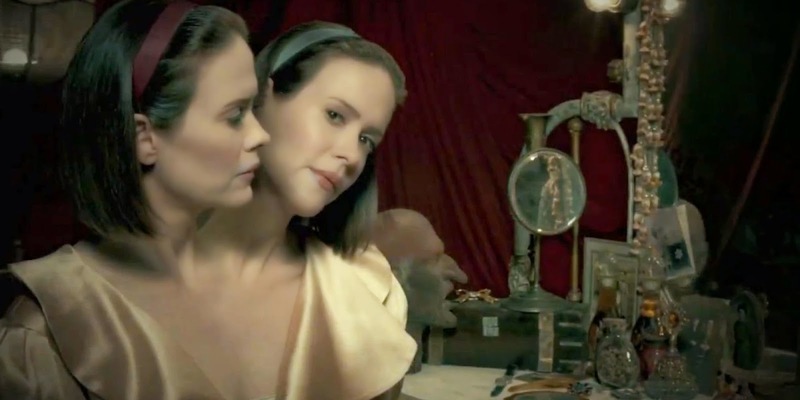 VampChix : AHS Freak Show, back on Jan. 7th! AHS Freak Show, back on Jan. 7th! If you are not caught up, then this article contains SPOILERS!! So, I am finally caught up on all of my Freak Show episodes, and there for a while they were losing me a bit. This season is all over the place. Is it just me? It seems like a real scatterbrained jumble of plot-lines and stories that go nowhere. I mean, we had the regenerating guy that Dandy killed...I thought that would go somewhere, but not so far. Weird. Then we have Paul and his now tattooed lady, and I guess they are just somewhere doing whatever a human seal and a tattooed lady do when they're in love. Regina Ross shows up to confront Dandy, and I'm thinking ok, now this will get interesting with her, and...boom she just dies. Ooooohkay then. But I do love how Dandy has gone full psycho. Killing his mother and the Avon lady and sewing them together to make his own Bette and Dot doll...deciding that he's God...bathing in blood. He's despicably delightful. And finally, in the latest episode, they really reeled me back in. In Orphans, we finally saw Pepper's back story- which was suitably tragic- and we see how she ends up at the Asylum from Season 2. We are treated to a cameo with Lily Rabe, reprising her role as Sister Mary Eunice. Which was awesome. And then Maggie Esmerelda finally decides she's had enough with Stanley, and she exposes their murderous secret to Desiree, in an effort to enlist her help in ridding the freak show of the man who would put them all in jars of formaldehyde. The downside of the newest episode is the idea that Stanley chopped off Jimmy's hands in prison. Like, sure, they just let him saw off a prisoner's hands, while I'm sure he was screaming in agony, and then walk out with the bloody appendages dripping through the halls. Totally plausible. But the preview for the next episode was intriguing. Neil Patrick Harris will be making an appearance! And his character is a magician and ventriloquist (I presume, since there's a creep-tastic doll with him.) Ok. 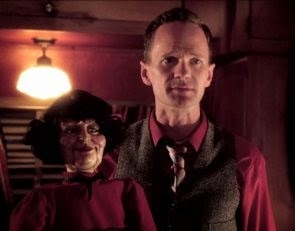 I adore NPH, and I think that ventriloquist dolls are some of the scariest things on the planet, so this seems like a win-win.